Two separate little houses in peaceful oasis. Book today. Welcome to “Cortijo Flamingos” in Chiclana de la Frontera, Cádiz, Andalucía. We provide quality boutique accommodation with breakfast (if you wish) in very friendly, homelike environment of El Cortijo during the whole year round. 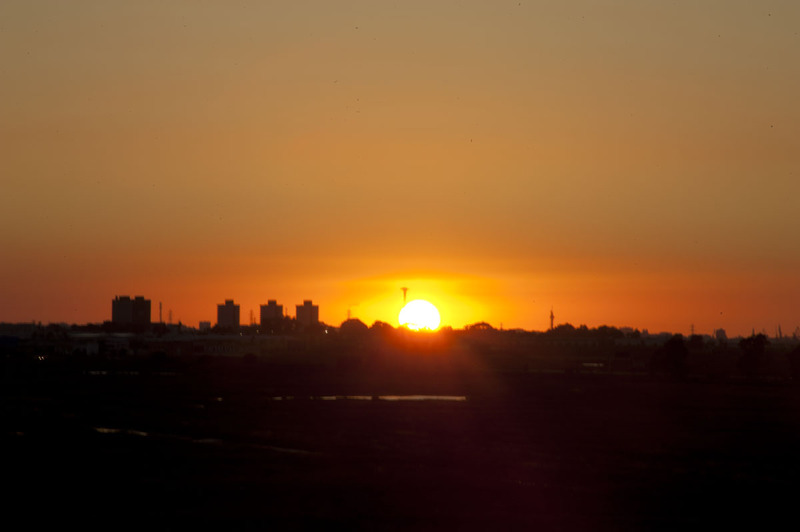 We are located in a peaceful, semi-rural area near Pinar de los Franceses, only 15 min from an amazing La Barrosa beach. You can benefit here from quiet rural surroundings, amazing weather and all amenities of private villa while renting only the accommodation for a couple. There is 360 degree absolutely stunning roof terrace view of La Bahía de Cádiz National Park where you can enjoy to the maximum your sunny holidays in the south of Spain. If you are a bird’s lover you have hundreds of species just on our door step including flamingos, herons and ospreys. Outside you will find various seating areas, depending on your need for sun or shade. 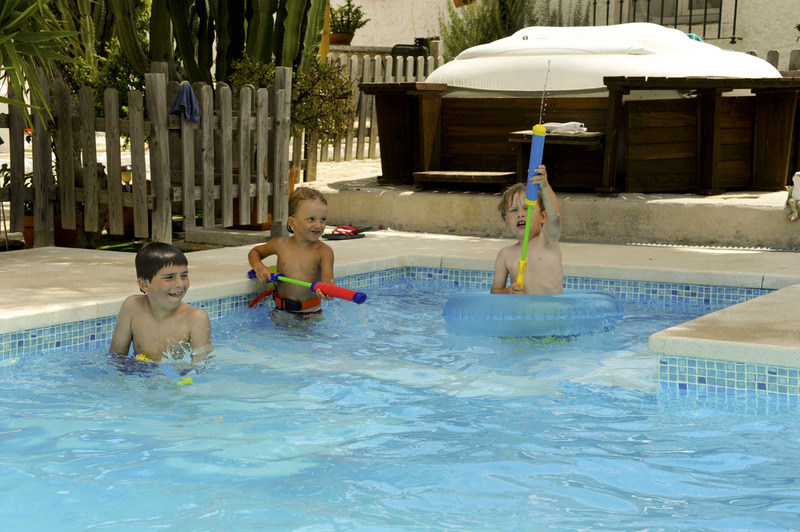 El Cortijo is children friendly – a garden provides safe playground for children and pets. A private swimming pool, small kid’s pool and hot tube are enclosed with a small wooden fence. Our roof terrace is a great place to relax, you will find there sun launchers, comfortable swing chair and a dining table where we will be more than happy to serve your breakfast. Also there is summer kitchen with barbecue area and dining table for your use to enjoy eating and cooking outside during your holidays. The private car park will take at least 3 cars and additional 2 are available in front of the main entrance. Location is a big advantage – enjoying countryside beauties you are also close to the town, beach and other tourist attractions. A car is recommended but if you are planning to stay in the Cortijo we can arrange the pick-up service from the local airports. Then you might be able to rent motorbikes in town or we have 3 bicycles available for letting. If you are travelling by plane and do not have your beach towels, beach sun chairs, umbrellas and cool box we will be more than happy to provide you with the beach set which is available to let. So, don’t miss the opportunity of original holidays in the most beautiful part of Spain.